I had one of those experiences last night that’s going to stick with me for a long time. Sunday night. 7:30pm. And I was going to a church I had never been to. I moseyed in the back and found a seat in the second-to-last row, just off the aisle. Mass started. We were about 15 minutes in, and the priest was giving the homily. And this old man hobbled in. He was at least 90, hunched over his cane, shuffling along. And he plopped down right next to me. Now, how can I put this delicately…his entrance was not…shall we say…discrete. As an elderly gentleman, his hearing was obviously going, because what he thought were whispers, actually were yells. Is someone sitting here!? What day is it!? September 4? What’s the page number? Now, if you’ve never been to Catholic mass, disruptions are…rare and…unwelcome. People were looking back with pursed lips and furrowed brows, trying to see who this rude disruptor was. Meanwhile, I was just trying to sink into my seat and keep this man quiet. I got the Missalette open to the correct page for him and quickly whispered the answers to his questions. I even nodded along when he would add a loud interjection about what the priest was talking about. I hate to admit it, but my initial response was so superficial and selfish. I was hoping people wouldn’t think he was with me. I was just praying to myself, Oh God, please just make him keep his mouth shut! But during mass, I felt my heart soften towards this man. Here he was, he had to be 90+. Alone, on a holiday weekend. Granted he didn’t smell the freshest, but he had a plaid collared shirt on, pressed kakis, and neatly combed hair. I could only imagine what he thought of me, showing up to mass in my short shorts and sleeveless top. But it was at the “sign of peace” (where you shake hands with those around you) that I really got a good look in his eyes. No one was shaking his hand, as he was seated and hunched over, and I kinda bent down and positioned my face to be in line with his face, and those eyes pierced my heart. They were so kind and warm, definitely not deserving of the harsh thoughts I was previously thinking. And as I turned to go, I felt his eyes following me. He was still sitting down, and I looked over my shoulder, and I saw that he had twisted his body to watch me walk away. And he had this expression on his face that seemed like…he had something to say. Like he was wanting to chat. And this man lit up. He shook my hand and introduced himself…with his full name. But he told me about how he loves to come to mass, and that he had heard about Mother Theresa’s canonization on the news. He was 93 years old and had a “long walk” from his apartment to get to church….why he was late. It was clear that this man was hungry for some human interaction…someone to talk to. And as I was walking home, I just couldn’t stop thinking about that man. I could feel my heart just swelling. Melting. Breaking almost. That was someone’s dad. That could be my dad one day in the far future. And I found myself just so convicted that I had judged that man so harshly when he walked in. He was doing his best to get to church, and God bless him for making that walk by himself at 93 years old. And my whole day turned around, just having that little interaction. I was filled with so much gratitude for my own dad, and my heart was so warm and touched after conversing with that man, who had such a kind and gentle spirit. It just goes to show that truly, if you give a little, you get a lot. All I did was have a little 2 or 3 minute conversation, and what I got in return was a new perspective. I got love. I got a feeling of gratitude. I was so blessed by this man. Anywho, I just wanted to share that story. Not to toot my own horn, and proclaim how pious and charitable I am…Please, that is the last thing I am. That interaction is going to stick with me for a long time. Because no matter how old we get, deep down, we all need love. And love is reciprocal. You give a little. Get a lot. Thank you so much for the reblog! ❤️😘 you rock! Absolutely beautiful, moving and inspiring … on so on-target! Thank you for sharing such a heartwarming, real-life story. Blessings to you! This was a beautiful post, isn’t it amazing how you can give a little and receive so much? I mean that isn’t the reason to give but it’s amazing. Or give a lot, an get a little? Or, give a lot and expect nothing. I know not how THIS world works 😉 that’s why it’s a good thing to do. Great story and thanks for sharing it with us! This story is very touching. It’s the little things in life, that make the biggest difference. God bless your kind heart. Great post! Reminds me of the verse from a John Prine song about old people “waiting for someone to say hello in there” on our walk of faith I pray our hearts will be open to those God wants us to meet. Awesome post! Love the videos that went with it. Can totally relate to how you felt. What an awesome thing to happen to you! I absolutely loved talking with my Grandfather (similar to your experience) as he had so much wisdom and truth to share it was hard to keep up with him. I visited him every weekend during the last year he was with us to bring him a 6-pack and a cigar and we talked until that cigar was gone. He was 84 when he passed and as far as I knew, had a 6-pack and a cigar every weekend since he was in his late teens. Older people are awesome, in fact, the ones that get to the point where the “filter” stops working are the most adorable! Beautiful!! So love this story. These moments truly change us. For good. 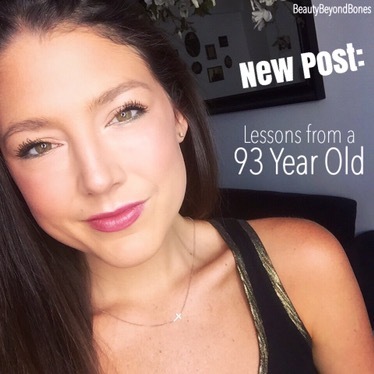 Carolyn at Beauty Beyond Bones recently wrote about an encounter with an old man at church. He arrived late, sat next to her, and created a fuss while trying to settle in and get caught up with the service. Carolyn helped him, but was unhappy that he had intruded and fearful that others might associate him with her. Things turned around for her, as you’ll see when you read the post. There is an innocence and guilelessness about the elderly that enables them to be an icon, a window into the nature of God. I hope that, should I become an old, befuddled man some day, I can be the sort of blessing to others that this old man was to Carolyn. Learning and being surprised. What an amazing God we have, and how wonderful to still be teachable. Great post. What a great post! Filled with compassion. Thank you! What a lovely story. Thank you for doing that because you made the world a little bit better through your kindness. If we could all slow down for a while we might have the time to notice others in need. Beautiful post! I could totally relate to this, and could feel myself in mass sitting next to that man. It’s wonderful how you went back to talk to him. I’m sure you made his day. Loved this! Yea, I’m getting to be like that old man. But I’m only 49 (and holding). I walk 2 miles to where I go to church. Few people ever offer me a ride home. The men don’t like me there, I guess because I try and dress up because I don’t like to go around in my cut offs like everyone else. I try and dress like a lady with nice dress and hair done up. I guess they think I’m looking for attention….and sometimes I am because my husband divorced me and I have to live alone. I have no one to love me. I have to grow old alone. No one to share life with. So yes, it’s for that little bit of human interaction that I go, and people most of them men don’t want me there to be honest and don’t want to even offer me something to drink. I feel unwanted and rejected, but I keep going for the ones who *are* nice to me. I am enjoying a few moments of watery eyes, very happy for you. We will all be old one day and will need exactly what you gave; Time, in a busy world that blows right on by the slow movers. Well done! I LOVE reading your posts! This is a beautiful interaction. I love giving out communion and looking at the hands that accepts Jesus’ body. I pray that He looks out of my eyes to each person and I love the different types of hands that come before me. Young and plump. Wrinkled and arthritic. Soft or rough. All treasured. Like you are my dear! Loved this post..such a sweet gesture of yours towards the man..appreciate it …and the line just give little and you will get a lot, I have even experienced such moments of joy..giving inner peace and satisfaction ….you rock ..Tc. What a beautiful post! God put you right where he wanted you to be that day.. Our elderly are so often over looked how precious and sweet to share a few minutes with him! Reminds me of the Memorial Day service years back when, on my way out of church, I bouncily greeted an old man in a wheelchair, and asked “So what are your plans for Memorial Day.” He rather gruffly informed me that “You don’t get to make many plans when you live in a home!” Instant guilt feelings, which I swamped by asking him if he’d like me to visit … Instant dismay when he said yes. So the Hubbit and I showed up the next day … I think we took cookies. He wasn’t expecting us, didn’t really know what to do with us. We didn’t know what to say to him, as he sat there picking dried porridge off his face. I felt pretty depressed as we left. It wasn’t actually a bad place, where he was staying … just sterile, you know? And he was clearly lonely. Anyway, I went back. He was so thrilled to see me! Over time we became friends. I visited him once a week and sometimes gave him a ride to church, and the home started calling me when he had a doctor appointment because he liked that better than going on the special bus. He died a few years ago. I still miss him. You could do that, you know, for your old man. If you wanted to. Just saying… 🙂 They’d probably be able to give you his contact information if you asked the church. Oh, and just to explain, NO I am not one of those visiting types. I barely visit my own friends! And I don’t have any special liking for old people. But I guess God kinda dumped Norton in my lap, and I found I liked having him there. So not trying to guilt you or anything … it was just a suggestion … or an encouragement, in case you’d already thought of it but thought it would be weird. Whatever the religion, there are faithful busy ignoring commandment 9 and the various versions of “judge not lest ye be judged” (like, for instance, attend to the plank in your own eye rather than the speck in mine or the stone-casting one). It was great that you recognized that this fella was STILL doing his best, at 93, to show up and publicly demonstrate his faith. Good job! Beautiful story of a heartwarming interaction. You were a gift to each other; clearly, there were angels nudging both of you to that church, that pew! Beautiful story and interaction. Reminds me of Hebrews13:2. Wow… A lot of feelings welling up here. Making me a bit misty. This past year is the first time I’ve really felt old. With my health history, I must admit anything can happen anytime. My brain feels young. My thoughts feel young, but the machinery isn’t doing too hot. And I spend so much time traveling, seeing no one but business related folks, I’ll always pray I get a friendly waitress that evening. Just to chat for a few seconds and feel like someone other than a salesman. Not too far off from your description of Norton, eh? Tonight’s Patreon kickoff is great! I hope you got my last email. I don’t want you to think I left yesterday’s post without a comment. 🙂 All the best to you and your continued success on all fronts! Gotta admit I was a little misty eyed reading this story. Thanks for sharing! My grandfather is 90 years old and a widower. The love of his life left him two years ago this month. For him going to church can be a bit difficult because of his age. He also needs human contact from people not of his family. You were gracious to that gentleman and Jesus was smiling I know. There isn’t much NOT wonderful about you! “He could be my dad” -only this much thought is required to find the good in someone. “He had no beauty or majesty that we should be drawn to him” (from Isaiah 53). So often, Jesus has come to me in the unattractive, the easily dismissed, the overlooked. He is the original diamond in the rough 🙂 Paul also says not many of those called are noble, strong, or wise, yet God has chosen the weak & foolish to bring to nothing the things that are (1 Cor. 1:26-31). God bless! I really enjoyed this post! It is one of my pet peeves that as a society we tend to ignore the elderly and they spend too much time alone in their thoughts. I have often wondered how many of them are senile simply because they are alone too much, and how many of them really wouldn’t be that way if they hadn’t spent so much time in their own world. I also don’t like it when you go with an older person to the Doc and the Doc starts talking to you when you are not the patient and there is nothing wrong with the patients mind. I feel that is a grave disrespect to the older person. After all, we all get old, if we are blessed, and we should think ahead to how we would like to be treated. Also I want to tell you that I find it awesome that at your age (not intending to speak down to you at all on this, but some things are learned as you get older) you were able to overcome your embarrassment at becoming the center of attention because of someone who is next to you! Bravo! As you get older and older you will find that what used to be embarrassing is down right funny! One of my children once climbed under a church pew and shouted out “Be Quiet! BEEE Quiet!” in a very strange voice to a very loud and screaming type of minister. The timing was very embarrassing because there was a miniscule (can’t spell it!) gap of silence in the minister’s sermon! Time stood still at that moment, then I heard a bunch of snickering from my fellow congregants! We were all thinking the same thing as the kid, but dared not say it! My cheeks I am sure were completely aflame..now I tell that story and even then after it was over I found it highly amusing. Another lady at our church used to yell out corrections to the minister during his sermon…he took it very well (different minister and church) and even answered her. I really admired him for that! I am so glad that you had this moment with the elderly gentleman! Good for you! Back at you. I hope you have a great week! Sounds like you were angels to each other. What a gift…. like a living truth of Mother Teresa. I am not really sure how to say this but with my background, I have gone to churches of various denominations, CRC, Baptist, and yes Catholic, to name a few, believe me those looks are thrown at all of them and I have gone to a couple where some of the parishioners aren’t afraid to tell you to be quiet and worse, “Oh yes you heard me” I have seen my share of all the best of both sides while they are in church. There are some in my past who have brought themselves all dressed up in three piece suits women in their dresses ect. but forgot their brains at home on the pillow their mouths and attitudes said they had left something at home or maybe their underwear both men and women alike were in a bunch. My heart was swelling as much while I was reading this. Bless the man, yes when we give little we get a lot 👑🙌. Such a sweet story…thanks for sharing. Don’t you love when God uses us, in all our weaknesses and imperfections, to still be His hand extended. Makes you feel closer to God than ever! awww, the poor thing <3 I love old people. So glad for your experience. You look lovely in your pic also. It’s really heartwarming and emotional story at the same time.. I am glad I got the chance to read it.. I wish if you had shared a real picture of him and you or just him, it would be so lovely to see whom I just imagined.. great post. Beautiful! There’s so much to learn from those which society views as the least. It’s humbling to hear your experience and the things you learned from it! What a wonderful wonderful story. I´ve had experiences like those, too. They are really mind opening. I am so happy for you and proud of you for making him and yourself happy. It is really the little things that count and go a long way. A “hello”, a smile, a few words. Like you said: love. Everybody needs it. I am very sure you´re Dad will be one of the lucky ones with a loving family at his side in church. We are all often quick to judge. Even if its silently in our own head without voicing those thoughts. And we must be those people who appear in the posts of others, as ‘some people just looked at my child having a meltdown’ or ‘they looked at me with a sideways look of horror that really hurt’. But its what we do when we -or in this case you lovely blogger – realise there is a person within each exterior waiting for company support or simply a smile that truly matters. Wow, what an amazing experience in the smallest of things! That was one of the most beautiful things I’ve read lately. Thank you for sharing! Yes – a feel good post. And a great reminder to be open to new people. This was a touching and incredibly loving story. Society is very quick to dismiss the elderly (and I am no saint) but we have so much to learn from them. God built us to be in relationship withthe one another. It isa great that you both got something out of the conversation. Bless you for your kind regards of the elderly. The one thing about getting old is that your mind does not recognize your body is aging.I can actually see myself in that gentleman.When you looked into his eyes did you see his youth? Just wondering. Haha, I woke up early and couldn’t fall back to sleep! Sending love, my friend! God’s timing is perfect. You were touched by a stranger. He was respected by you – which probably went a long way in his life. And, I just finished writing a piece about the sad situation of Christians sitting in judgment of others. At the end of the day, four women reached their journey’s end and stood at the mouth of the cave. Each one peering in, hoping to get a glimpse of the path. Instead, it seemed as if the darkness absorbed all light. Because of the growing night, they decided to camp until daybreak. Her three companions shielded their eyes as she held her life’s work before them, a lamp with finely cut jewels and ornate filigree. Without waiting for the others to respond, she raised her lamp as if it were a great beacon and moved toward the opening. Upon entering the cave, the darkness swallowed her light except for a tiny beam. Bent over, she stumbled along, straining to see the dimly lit path. Outside, the three other women watched the first woman disappear into the cave, each with their own thoughts. The second woman reasoned I am certainly a good person. Even though my light is not as dazzling as hers, it will be sufficient for I am not a sinner like these two. Saying nothing to the two remaining travelers, she clutched her lamp close to her chest. Taking each step as if the ground moved beneath her feet, she tiptoed into the cave like she was entering a bear’s den. Immediately, her torch was snuffed out as if by a gale wind. Trembling, she ventured further into the dark beckoned by the light of a candle. Glancing at her neighbor, the third woman said, “I need no lamp. I am a light unto myself. I never did anything wrong. My life’s motto, ‘Everything is permissible as long as it’s not hurting anyone.’” With that said, she jogged off toward the gaping hole. As soon as she approached the opening, she screeched as the darkness swirled out of the entrance and swept her into the cave. Just as quickly, the storm was stilled. Standing to her feet, she walked into the cave. Upon meeting her, the darkness fled. A startling, bright light emanated from her, reflecting precious gems which studded the walls. Looking around, she saw a path clearly marked before her. This is an experience of seeing past the “label,” of seeing the soul beneath the years. It’s about someone who achieved tolerance long enough to practice tenderness. Enjoy. That was probably the best post I have read on your page. I appreciate you sharing that story. May the Love of Jesus surround you on your journey. I was just thinkimg about this! How often do we ignore the odd stranger who is bothering us when it might just be Jesus giving us a person to help. Every time we love the forgotten and broken we are serving Jesus! So beautiful and touching. GREAT BIG HUGE HEARTS!!!! Earlier in my life, I have been a pathetic and not-right person. Receiving simple love like this helped me stay alive long enough to recover. Ironically enough, my central shortcoming is that fearful, egotistical attitude that comes out as judging, self-righteousness, and personal meanness. In order to keep my precious spiritual growth, I have had to do the right thing a few times in situations like this. While seeking any kind of reward for it negates the act, the rewards of being loving because it’s the right thing to do have been great. Enjoy them. Beautiful! This one really touched me (said as I wipe the tears from my eyes). My favorite thing about going to mass at my home church is this spunky eighty something year old lady, Mrs. Mary. I used to think she was kind of mean, and then one day, I mustered up the nerve and struck up a conversation with her. She is absolutely phenomenal! She prays the rosary out loud before EVERY mass, even daily mass. She’s pretty hip as well. In fact, she told me yesterday that she actually texts her kids and grandkids! Anyway, I look forward to mass now because, when I get there early, I get to hear Mrs. Mary’s voice. Thanks! Working in nursing homes as a nurse aid, many, many loved ones get dropped in and never visited. I worked 2nd and 3rd shift doubles. I brought in heavy duty cream for dry skin, fingernail polish, and olive oil for the African American hair. I learned how to braid hair. We’re they blessed? Maybe. I met a 105 yr old woman who worked for the CIA and a French prostitute from the times of the Nazi regime. Stories filled with heart break and wisdom. So glad you brightened his day. I have an older black woman who goes for walks and carries a chair leg to beat off stray dogs😂😂 we have awesome chats about her upbringing in Louisianna. It’s fun!! Remain lifted and filled with peace and love! .♥. What a thoughtful post! Your writing is inspiring and emotional. And your video clips make them fun to read! Thank you! People need to interact with each other these days, not just glued on cellphones. I commend you for doing that. What a lovely story……usually us as Christians will speak of being kind to others, but when we really get a chance to do so, if they don’t fit into our mold, most of us will shy away from them. In your post you mentioned that no one shook his hand, how awful that must have felt to him. Your act of kindness did not go unnotice by Jesus……Matthew 25:35……..” I was a stranger and you took me in.” In doing this act of kindness to this man, you also did it to Jesus. We always feel better when we do the right thing…..blessings. You are such a sweetie for taking the time to talk with the older man. I work with seniors, and sometimes I am the only person they will see all day. Often their family are too busy, and they don’t want to impose themselves on anyone. Some just want a smile, an acknowledgement. This made me smile! Your story reminded me “entertaining angels unawares” as mentioned in the Bible. He touched. your heart and you touched his. You were both blessed! Thanks for sharing. omg. this brought tears running down my cheeks. I love what you wrote: give a little, get a lot. Old people are so sweet! no, it was a good cry! promise 🙂 thank you. hi beautybeyondbones i want to talk with u can u plz contact me ? This is such a lovely story. I’m impressed. Good delivery of it. Really love this story. Your heart, despite what you say to the contrary, is one God can work with. Have a great day. Out of all the people in the church God worked through you to talk to this man. I love it ! Your reward is much greater when you give with a full heart. I love this post! At one church I attended a van load of special needs folks came every Sunday. My strongest lesson from them was the way they sang lustily and joyfully… too loudly, off time and off key. But they put their hearts into it while the rest of us mumbled into our hymnals trying to be precise and correct. They were the ones who knew they were welcomed by God and worshiped in response. And I’ve had one or two myself–I’m not perfectly first-impressed I’ll just say that–but those moments when God just smashes all your self-taught wisdom and shows you Jesus–or yourself–in a stranger’s eyes…that’s humbling–no, knee-breaking. Thanks as always for sharing, Caralyn (: Happy Saturday! Love this! You are so right–people need that interaction and fellowship. What a wonderful feeling it is when you know you are noticed…. And especially when someone takes time to have a conversation. Without it, we die inside. I’m sure you were a huge blessing to this older gentleman. Beautiful. I think… what we are scared of, when we help an older person, a homeless person, a poor person… is… we’re not scared of “them,” we’re scared that some day that could be us. We’re scared that some day we could be old, homeless, or broke, and we don’t want to face that possibility. But if you stop, help, say hi, spare some time or change, or kindness or a laugh — then we break through that fear because guess what is greater than fear, or difference, or hardship or difficulty or pain or misunderstanding? Connection. Hope. Faith. Interaction. I’ve seen too much of it to doubt it any more. It’s amazing what you’ll see, find, discover, encounter when you stop to share time with someone else. My dad used to wear pressed khakis and a plaid shirt to church. Precious story. I’m reminded of a time in pastor training when I was a hospital chaplain. I’d been called to the floors to visit a ‘difficult patient’ and when I arrived elderly gentleman’s first comment to me was to shout, “Who the eff are you!” This wasn’t going to be fun. For some reason I didn’t bail and after a long, and occasionally arduous, conversation it turns out that because of age and hearing difficulties he didn’t really know what was going on with his care. Which caused a lot of fear on his part which manifested as anger. Which of course made everyone leave as soon as they’d finished whatever task they’d come in for. Which left him not really knowing what was going on in his care. You see where this is going. After medical staff understood what was happening they took great care to slow down and trying to keep him informed. Things improved, at least in the short term though I don’t know what ultimately happened. A couple of minutes can mean a lifetime. Well done and thank you for reaching out! Wow, I honestly can’t remember the last time I cried just from reading a story! I was crying about half way through it. Hehe. The truth, dear lady, is that what goes around has an uncanny proclivity of coming around. Your kindheartedness connected you to a needy, nice old guy. 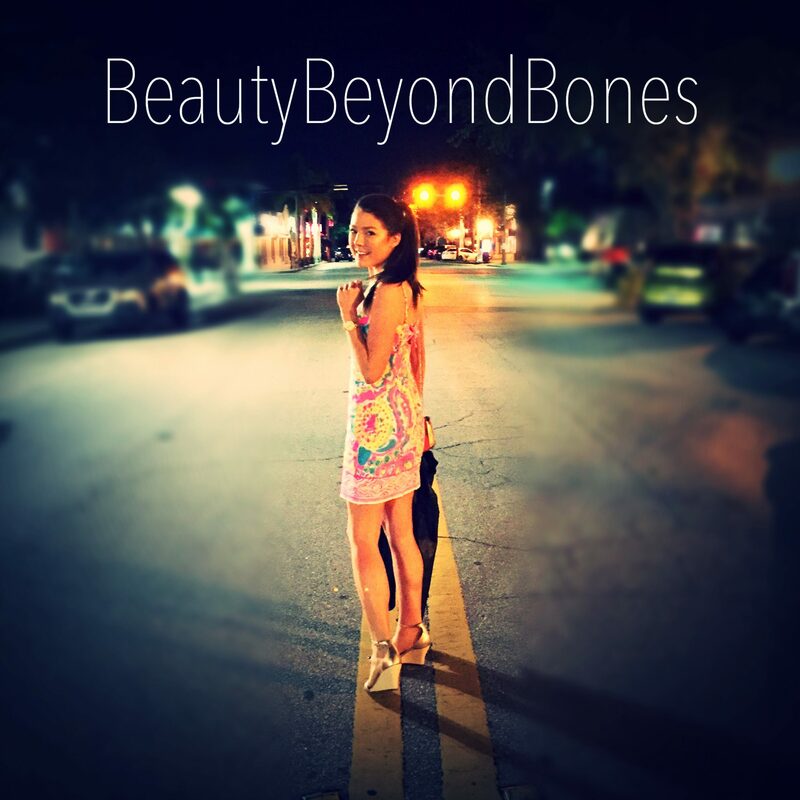 It takes a Beauty Beyond the Bones one like you to make it happen. Who’s next on the queue to spread warmness of friendship, especially to a needy one? Halleluyah!!! I can’t agree with you less. A really good story 🙂 reminded me of my grandpa whos in his late 80s now…..
Beautiful and so very true. As they say, eys are the windows to the soul…. I’ve had similar moments, too. When we take even just a bit of time for another we are often rewarded with a great blessing. Everyone likes to feel needed and cared for. Those we wish to ignore are many times the ones most hungry for the attention (as well as the ones who have the most to give). That was awesome everyone’s our neighbor. Hey praise God for sending him to you because I believe God uses everybody for his kingdom. You blessed that man and got a blessing from him. Thanks for sharing. You are God’s special one. Absolutely wonderful and touching ! I have written a Haiku, in Swedish, about encounters like this. I really think Carolyn (?) that the intergenerational nature of the church is something that needs to be strengthened. I find it so with my 92 year old mother. She enthralls younger adults with her stories of growing up before, through, during, and after the depression…and of her faith. Thank you and blessings! HUGS to you!! Thank you for this inspirational, sweet Catholic share. I could easily see myself in your position, and would no doubt have had the same reaction. I’m marginally better than I used to be with older people than I used to be. But kudos to you for listening to a gentle whisper, a still small voice, and to engage. For whatsoever you do for the least, you do for Him. And perhaps You were the connection he needed that day. I suspect you were. Hi Caralyn…I had to chuckle when I read this post. My next door neighbor is a 90 year old man who has never had much social awareness. To be honest, I sometimes avoid conversations with him over the fence because he will talk forevvvvvvveerrrrr (and no obvious nonverbals can discourage him…believe me I’ve tried!). I had not seen him outside for awhile and I found out from his daughter that he fell down leaving the house to play cards with his buddies (he didn’t want to be late…cue irony). He broke his kneecap in two and was off his feet for six weeks. His lawn was getting long so I decided to mow his when I mowed mine (Pious St. Thomas the Aldrich…cue angelic choirs). I was feeling less inspired after the sixth time mowing when his daughter came over and thanked me for helping. Feeling pretty good about myself, she then shared with me how in his eighties her dad was mowing 18 lawns per week for all the widows in the area…for free. Humble pie in my face. My entire perspective on my “sacrifice” and the simple love of an old man seen in quiet service humbled my heart and adjusted my attitude. This simple old man loves like Jesus. He doesn’t speak like Him..hahaha…but his life is preaching to me! Blessings gifted young lady!! As human beings, we all need to be more intentional with our interactions with the elderly and we need to teach our children that as well. I was raised with several generations in one house, but that’s not the norm with most American families. Sometimes a smile and a simple “hello” is all it takes to start a conversation. Bless you for recognizing his need for human interaction!! <3 love this! Your his angel! This truly touched me. I had a similar experience the other day. I wasn’t at church and it wasn’t with a sweet old man, but it was with a person many would deem an undesirable. I think it’s so important to help people often, even it’s just a kind word. You have inspired me to continue speaking with those in our society that we tend to forget. I LOVE this story! It is truly amazing to be affected by someone so positively when you least expect it.